i am back after a long gap due to my personal work. Today, i will tell you the interesting topic most of the people are finding many ways to transfer files between PC and android mobile. Generally we have been using bluetooth or USB cable to copy the files from PC/laptop to smart phones till now. Using bluetooth, file transfer would be little bit slow while using USB cables we can overcome it. But we have to keep USB cables in reach. Apart from these there are many other options available like uploading to google drive, sending emails (where files are of small size). But if you want to transfer files that are huge, how will you do it? There are many applications available to facilitate file transfer between pc/laptop and smartphones through WiFi. I recommend a simple android application called AIRDROID. You can get it from Google Play Store. 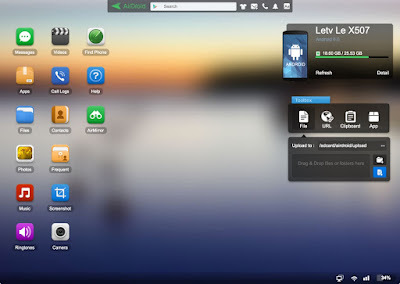 AirDroid is an android file manager, it gives a replica of your mobile in your pc/laptop's web browser. So, you can upload or download anything from your pc to your mobile. 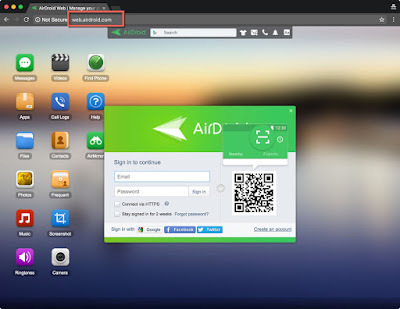 Download AirDroid and install it in your mobile. Open the AirDroid app in your mobile. You can use connect using web URL, IP address or using QR code options. Once connection, you can get your mobile's phone manager replica in your browser. Voila! you can now transfer files from your pc to mobile and vice-versa. Hope this method will help you to transfer your files from pc to android mobiles.